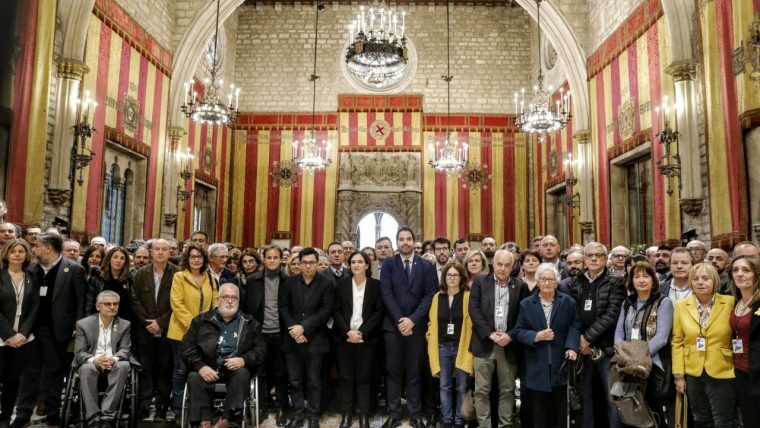 Mayors from around Catalonia have joined together in support of the political prisoners, ahead of the trial starting on 12 February. 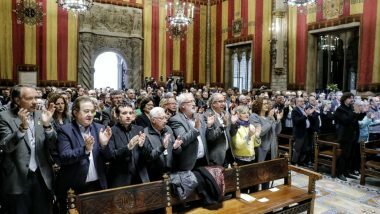 The mayors are calling for the prisoners’ basic rights and freedoms to be respected and demanding a fair and impartial trial for the social and political representatives facing accusations. VIDEO: Ada Colau: “We demand a fair and impartial trial for the pro-independence leaders”. 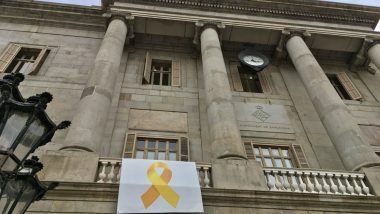 Four hundred mayors gathered in the Salo de Cent chamber in City Hall to give their support to a joint manifesto calling for a fair and impartial trial for the pro-independence political leaders. 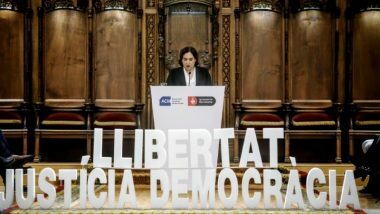 In line with today’s manifesto, the Mayor of Barcelona, Ada Colau, sent a letter yesterday to the President of the European Commission, Jean-Claude Juncker; the President of the European Parliament, Antoni Tajani, and the President of the European Council, Donald Tusk, expressing the City Council’s concerns over the trial and the guarantees it offers. The letter highlighted the atypical nature of the process, and the fact that the trial does nothing but represent the fiasco of politics, understood as a space for dialogue and negotiation. In January, the Full Council gave majority backing for an institutional declaration in support of the prisoners and urging the Supreme Court to guarantee their right to a fair and impartial trial. The letter also included the text of the declaration, which calls for the prisoners to be freed so that they can prepare their defence, for the task of international observers to be facilitated and for a democratic resolution to the conflict.